Oh no, yet another blog post of cakes! Readers will think that Hutt City Museum staff do nothing but stuff ourselves. 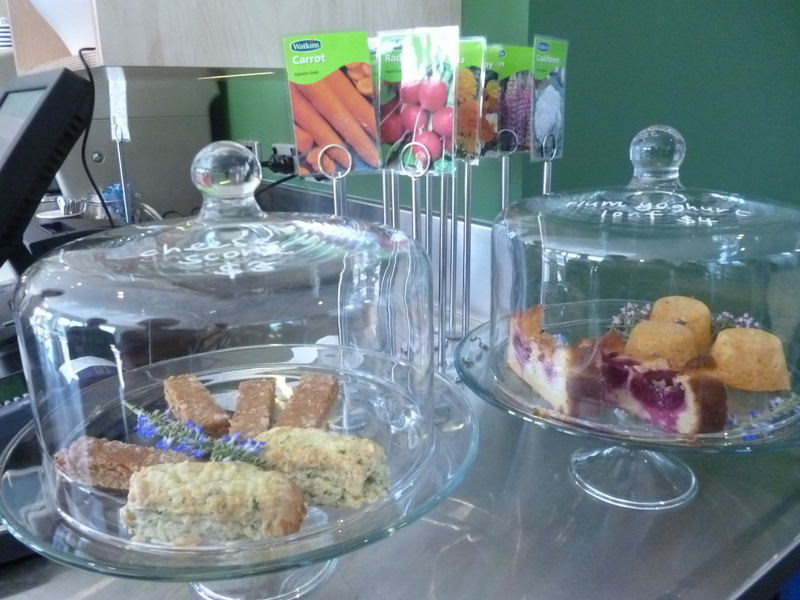 But, in the interest of research, and supporting our colleagues, we had to go and try the cakes at Lower Hutt’s newest eating establishment, opening just today – Little Cafe, in the heart of our civic precinct in the Little Theatre & Lower Hutt War Memorial Library. Little Theatre & Lower Hutt War Memorial Library, photographed by Wm. E. Toms / Eastbourne Studios, in 1966. Wm E Toms Collection, Petone Settlers Museum. Gift of Mrs. Valerie Blennerhassett. 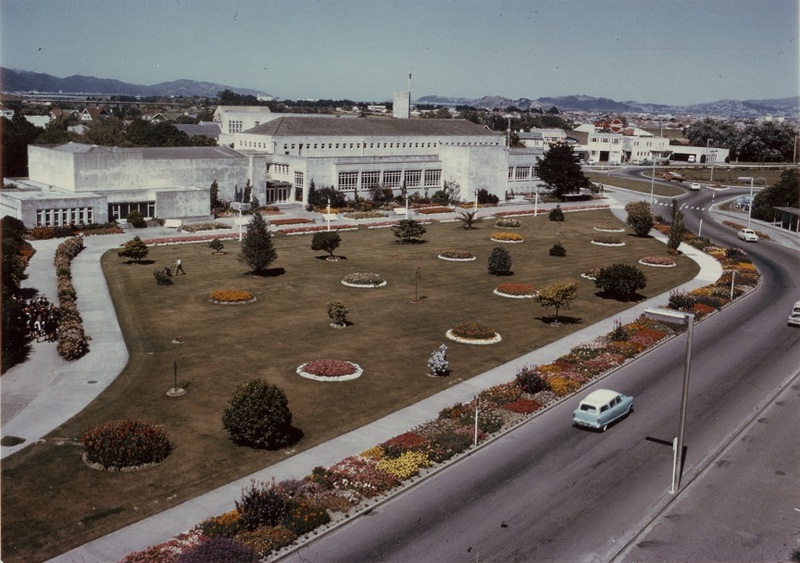 In this glorious technicolour shot of the Little Theatre & Lower Hutt War Memorial Library in 1966, the Little Cafe space looks a bit different than it does today. We have a number of photographs of the park and the buildings, taken in the 1950s and 60s by Wm. E. Toms at Eastbourne Studios. 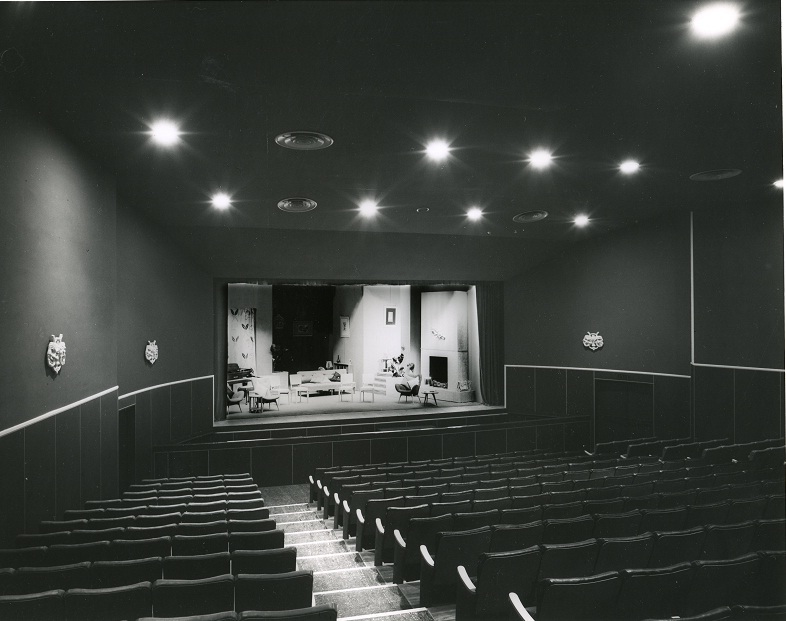 Little Theatre, photographed by Wm. E. Toms / Eastbourne Studios in 1956. Wm E Toms Collection, Petone Settlers Museum. Gift of Mrs. Valerie Blennerhassett. Here’s the interior of the Little Theatre, with a set hosting a pretty impressive range of modernist chairs. 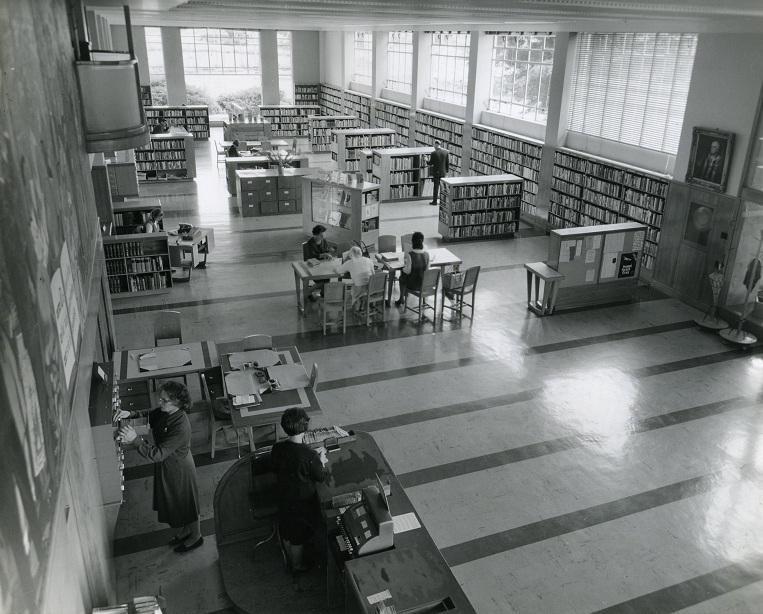 Interior of the Lower Hutt War Memorial Library, photographed by Wm. E. Toms / Eastbourne Studio, November 1966. Wm E Toms Collection, Petone Settlers Museum. Gift of Mrs. Valerie Blennerhassett. 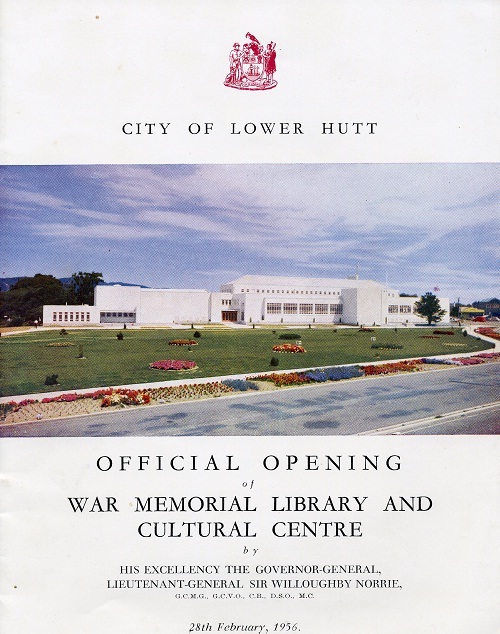 Brochure for the Official Opening of the Lower Hutt War Memorial Library and Cultural Centre, February 1956. Wm E Toms Collection, Petone Settlers Museum. Gift of Mrs. Valerie Blennerhassett. So, if you missed the official opening of the War Memorial Library and Cultural Centre (not sure when it changed it’s name?) make sure you don’t miss the opening of the Little Cafe, for tasty delights and a chance to see the latest incarnation of these historic buildings. I can highly recommend the cheese scones. This entry was posted in PSM and tagged Little Cafe, Little Theatre & Lower Hutt War Memorial Library, Wm E Toms. Bookmark the permalink. Thank you very much for uploading these images – they are almost too poignant to look at for me. Spent the late 60s as a child in NZ and I spent many afternoons in the Lower Hutt Memorial Library. The murals are engraved on my memory. I finally got back in 2014 and had to make a pilgrimage to the Library and was so glad to see the murals still there – if moved around! It was great to see the Library still in full use. Good to hear that you can still get good cheese scones in NZ too. Keep up the good work.